While taking a break from curating our images we’d like to talk about Cuba. We’ve been asked if we would go back to Cuba and the answer is yes. We wouldn’t go back to Havana, rather, we’d go to the southern and eastern parts of the country. We would want to get away from the the tourist areas in order to really get to know the country and its people. 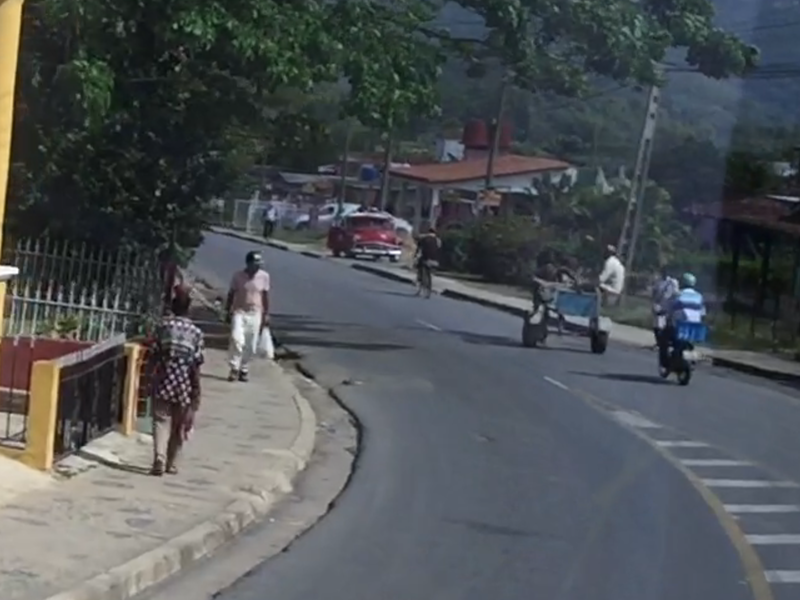 Cuba has a huge infrastructure problem. Although most of the roads we traveled were okay they were the main ones. I suspect as you get further away from Havana into the countryside the roads will fair even worse. 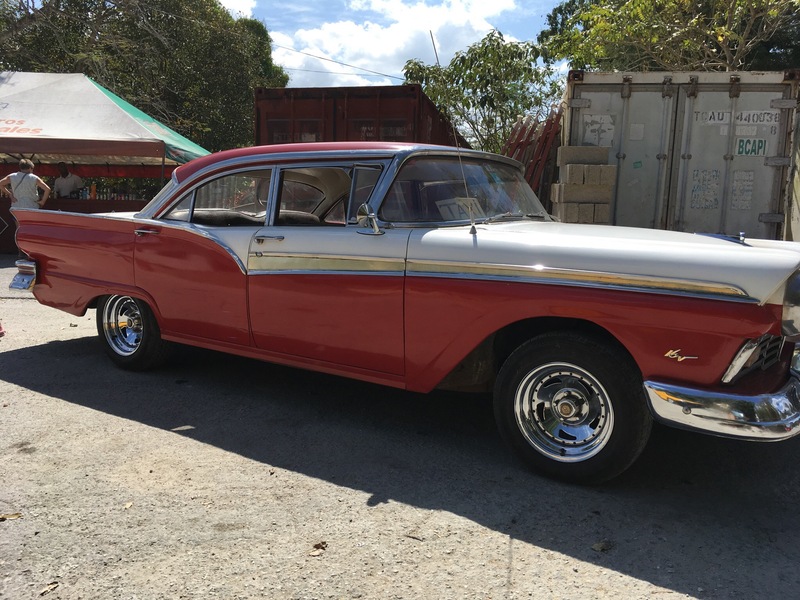 Getting Cubans to and from destinations seems to be a large problem. We noticed public transport crammed full. As we traveled around and, particularly, on the outskirts of Havana we saw many, many people on the side of the roads trying to get rides or waiting for the next bus. We’re talking lots of people. Nothing like what we see in the States. There are all manner of conveyances on the streets and highways – cars, trucks, scooters, motorcycles, horse and buggy, etc. All seem to work well together – never saw an accident. Did see a number of broken down cars, though. Pardon the rough image but you can see the horse and buggy. These were ubiquitous in Cuba. Yes, the old cars are around. Some in better condition than others. Never rode in a car with a seatbelt. Shock absorbers must also be difficult to come by. Most classic cars are cobbled together from whatever parts are available. Many now have diesel engines. The really beautiful classic top down cars are typically used for touring. You pay $50 CUC for an hour, $100 CUC for two hours, etc. and they’ll take you on a tour. It looks like a classic American car. Looking inside you’ll see Kia. Use whatever parts you can get. Infrastructure issues include waterworks. When using a toilet there will ALWAYS be a waste basket beside the commode. If you were smart enough to bring toilet or tissue paper with you then you discard it in the can – not the toilet. Occasionally, there will be a female there to tear you off some toilet paper. Feel free to leave her a peso on the plate. And some toilets might actually have seats. Dark rum and cola do not mix. Cubans consider it a sacrilege to mix the two. Clear rum is the choice for making a rum and coke. We saw no Coca Cola while we were there. But we did see a number of similar products. Nestlé is big in Cuba so we saw a lot of the same products we see in the States. There were a lot of overweight Cubans. Cheap food is probably the culprit much like in the States. 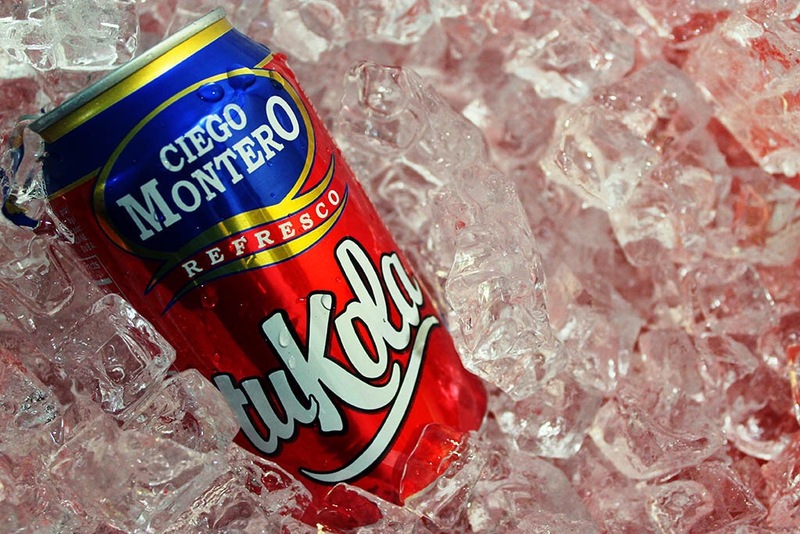 tuKola is Cuba’s version of the Coca Cola. It reminded me a little bit of RC Cola. I was buying some dark rum and tuKola one day and the checkout lady tried to tell me that I was buying the wrong rum to mix with the cola. We did do a test taste one evening. We blind tasted a rum and coke made with clear and dark rum. The clear rum won overwhelmingly and henceforth, I will not mix dark rum with coke again. These are the important things you do and learn while in Cuba. Cuba really is a tourist destination. We saw French, Canadian, Russian, Japanese, UK, and other tourists everywhere. Our guides were telling us that tourism is their economy now. I am concerned that their infrastructure is just not up to the task, however. It needs some huge investment. We’ll see what the future holds. And yes, you will need to ask different Cubans several times before finding what you’re looking for. I was reading a guide book and it estimated five questions to five different people – and I would say our experience was close to that. We did have an advantage – one of us was fluent in Spanish so we could sometimes reach our goal after only asking three people. We met some nice people. For me, the nicest were actually women – and women of about our age. Miriam was able to have some conversations with an artist in Fusterlandia and the woman who did our laundry at the marina. And, then as we were leaving and buying our last bottles of rum, coffee and cigars the woman who assisted us was also very kind. We could sense some relief and relaxation when they realized that Miriam spoke their language. Just wanted to put some musings here.